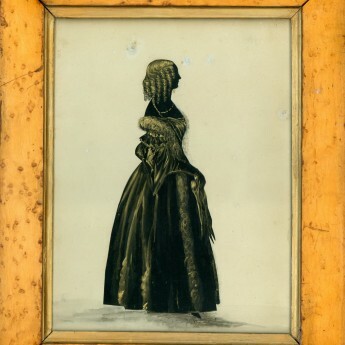 This is a cut and gilded full-length silhouette of a young lady dressed for the evening in a wide-shouldered dress with distinctive Victoria sleeves that are frilled at the shoulder, very full at the elbow and then narrow on the wrist. 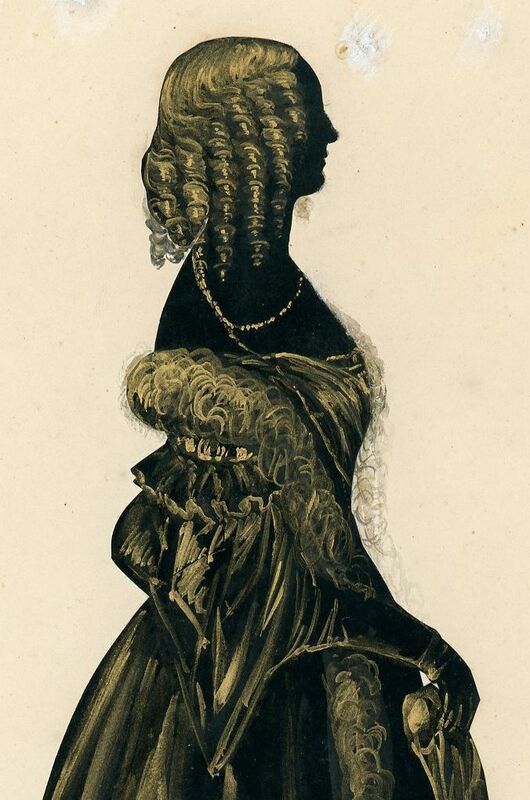 She has a gold necklace and a long fur boa that extends to the hem of her dress. Her hair is arranged in fashionable ringlets. 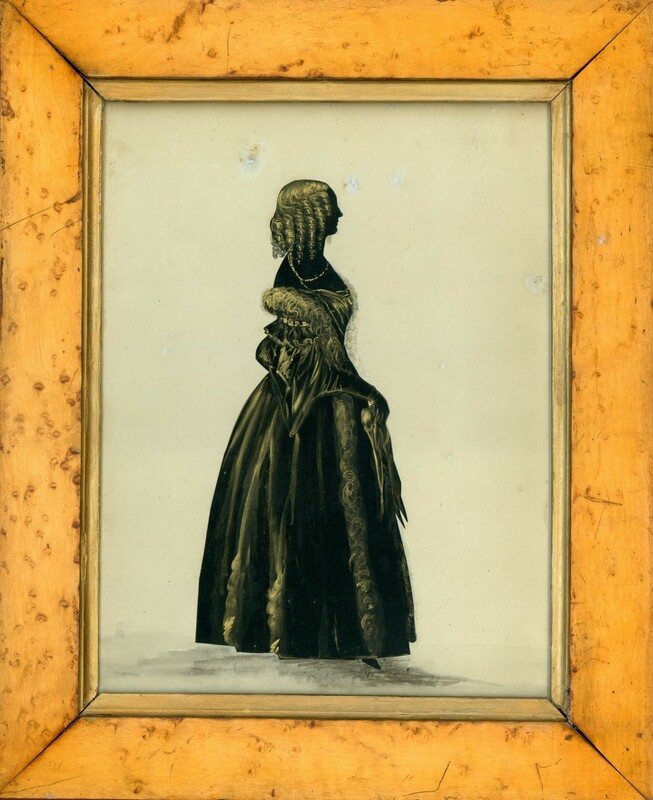 Cut out and laid on card with touches of watercolour to embellish the costume and hair details. The profile is in fine condition but there are some bleached marks to the background card. The silhouette is housed in a handsome flat profile bird’s eye maple frame with a gilt slip. Самая детальная информация отпугиватель собак видео на нашем сайте.